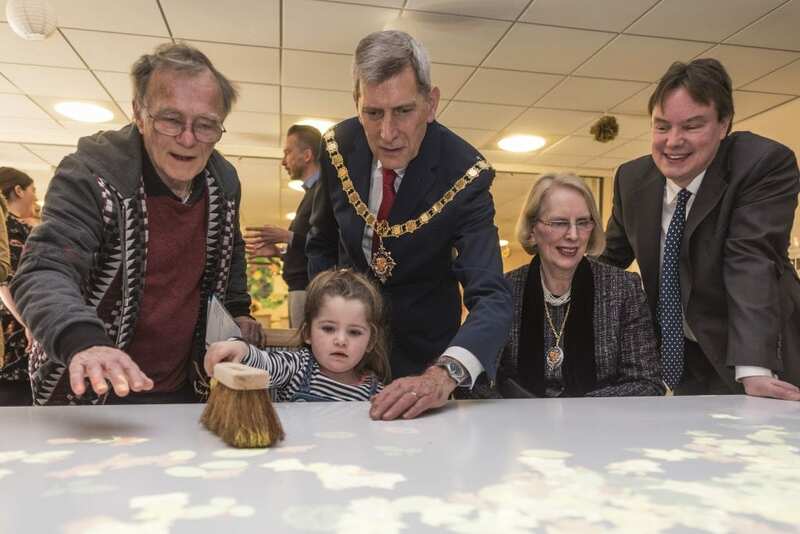 Day Care Woking has installed the Tovertafel (‘Magic Table’ in Dutch) in its service, making it the first installation in Woking. The Tovertafel is an award-winning innovation from the Netherlands, which is renowned for its cutting-edge approach to dementia care. The technology contains a series of games for people living with mid to late stage dementia. It has been designed to encourage instinctive participation, inviting engagement and stimulating a level of physical and social activity rarely seen in people living with dementia in the later stages of their journey. Triangle Day Care Woking is part of the Friends of the Elderly and strives to give people choice and control over their health by providing a range of supportive and educational services. The service has daily activities to suit individuals’ likes and preferences and is delighted to add the Tovertafel to the plethora of activities they offer. 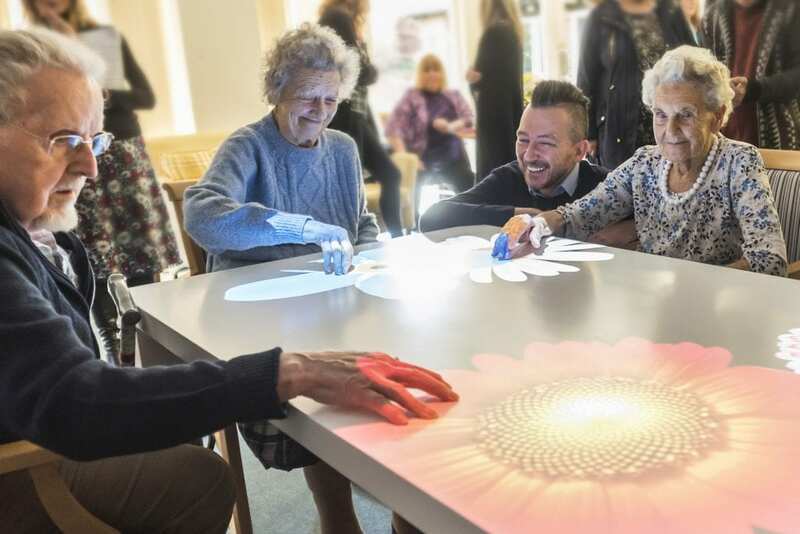 The visual, invigorating Tovertafel games can be played independently or in groups and have been researched and designed to stimulate people living with dementia. Play can help with health and quality of life and the Tovertafel can create amazing moments of happiness for people living with dementia. To find out more about Triangle Day Care Woking, click here.